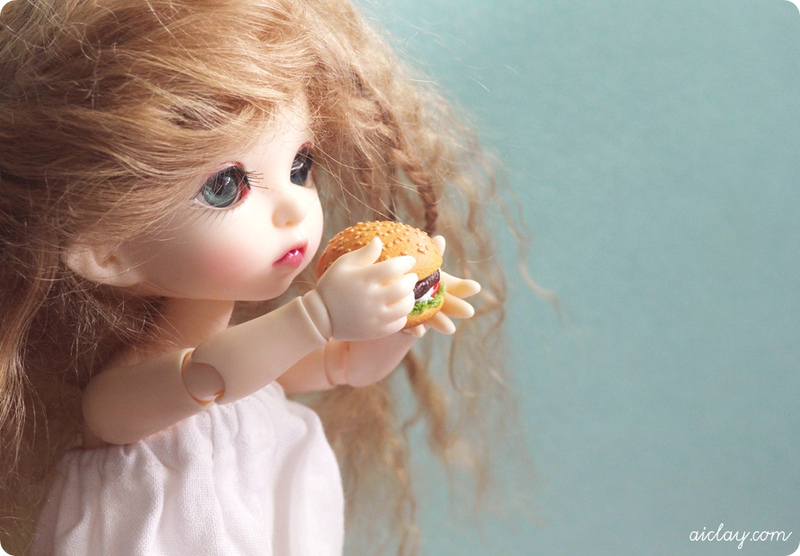 I'm Catching Fireflies is a blog dedicated to ball-jointed dolls (BJDs), art and fashion. 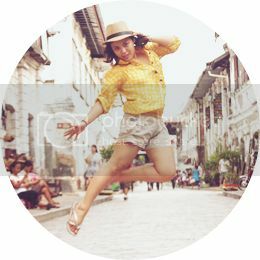 It is maintained by Kassandra Yboa, a graphic designer from the Philippines. I stumbled upon Jocelyn Teo's miniature artwork a while back when I was browsing through Den of Angels' commission subforums. I was awed at the amount of detail and realism she puts into every little thing she creates. It's just... mind-blowing. They look so yummy and so real and you almost want to eat them, but then you realize that's a Pukifee holding the tart! Amazing. Hi Jocelyn! Tell us something about yourself. Did you start creating miniature clay art before you got into ball-jointed dolls or was it the other way around? How did you start? 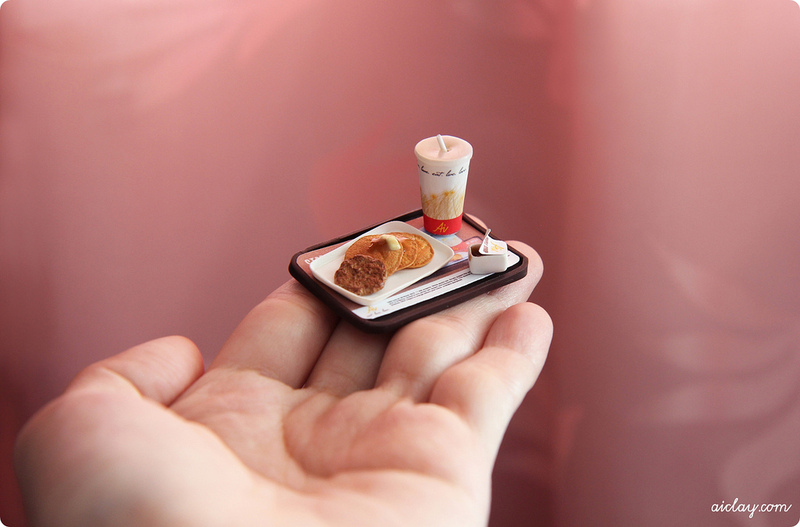 I was working with miniature food sculptures way before I found out about BJDs, and it's been such a ride since then! It's like starting a Chinese restaurant in India and after 2 years of just displaying food which looks good, and a group of Chinese walks in one day to have lunch. Maybe that's not a good analogy, but hopefully you get what I mean! I chanced upon clay sculpting on one particularly boring day, and my boyfriend and I just decided to buy a box of clay just for fun. The rest's history as they say. 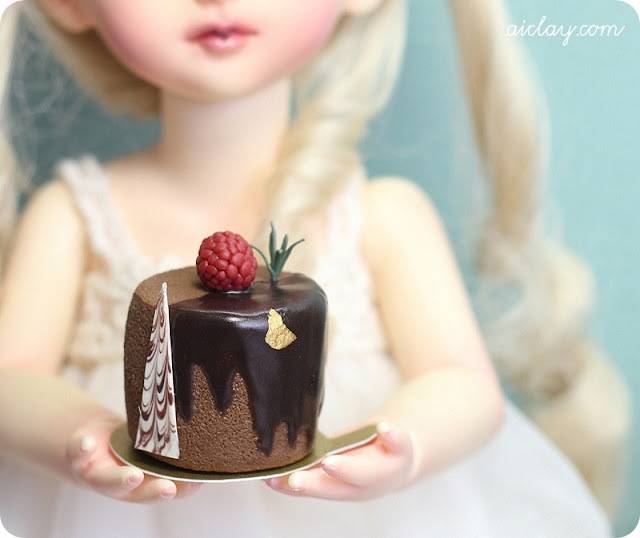 How did you find out about the BJD hobby? I can't really remember honestly, but it was probably through random googling? Internet takes you places you never thought you'll go haha. Do you have a favorite among your dolls? If you do, what are their stories? I don't have a favourite among my 3 dolls, and sadly I haven't had a chance to work on their stories. I just love them all, they're just all adorable to me! You seem to have a preference for tinies. Why is that so? It could be because of a lack of space, and I just prefer miniatures. ♥ But I could be getting a MSD or SD one day because I'm constantly tempted by the gorgeous clothes available for them, so let's not speak too soon! Your miniatures are beautiful and full of detail. They look very realistic! How much time do you spend making a piece or set? Thank you! ♥ Hmmm, every piece takes a different amount of time according to the details involved. 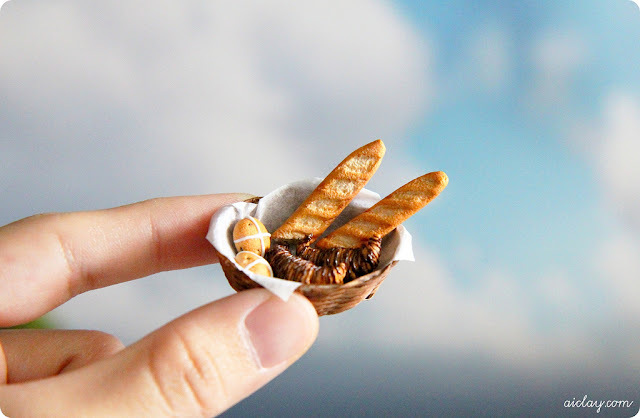 For example, a miniature burger could take up to two hours. How would you describe your work process? What's your favorite creation to date? The most challenging? Favourite would have to be macarons, they're not too crazy to make but still looks so sweet all the same. The most challenging would be a sesame seed burger, the seeds drive me wild! How would you describe your art and photography style? Do you ever get artist's block? How do you deal with that? Fortunately, or unfortunately, I hardly get that because the commission list is never-ending, and so I don't even get the time to work on my ideas. In fact, my want-to-sculpt list is so long that I think I have the opposite of artist's block, whatever that's called. I enjoy the freedom, being able to hang out late on a Sunday night without worrying about starting work the next day, having a leisurely midweek breakfast while watching the office-goers rush to work in their ties and suits. It makes me feel really lucky. You've done workshops and you've been featured in publications. What can we expect from you in the future? There are so many fantastic plans for AiClay in the works, and it involves collaborations with others so I can't spill much for now as nothing's finalised yet. But definitely stay tuned, it's all terribly exciting! Learn more about Jocelyn and works by visiting her blog and her Flickr. Her works can be purchased through her BigCartel shop. She also accepts commissions on her thread on Den of Angels (registration is required to view it). awww thank you Kass! Your site is beautiful, and I'm honoured to be featured. ♥ Take care, and hopefully one day I can get to sculpt for you too! I'm honored to feature YOU! ;w; Thank you! Ohmygod I love her work. ;o; ♥ It's so beautiful and realistic!! 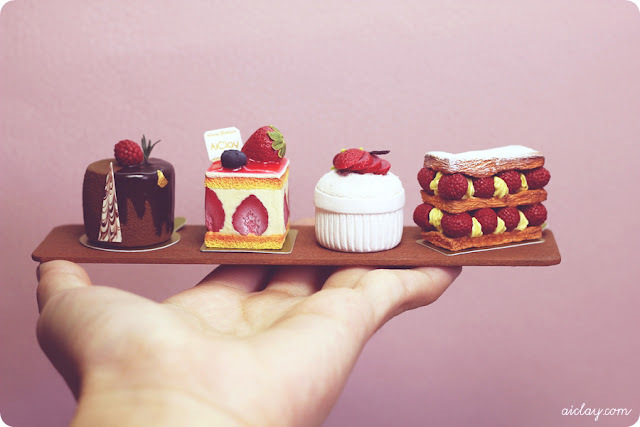 I really looove looking at fake food for some reason, so I am really amazed at these! X) I may have to commission her someday. I'm not sure if Jocelyn made that cookie. :O She holds workshops though. Maybe your friend attended one? I don't remember this post so much, and I now regret it because this person is hella talented! Hello there! My name is Kass. I'm a graphic designer from the Philippines. I'm Catching Fireflies is a blog centered around my love for ball-jointed dolls, art, fashion, the mori lifestyle, and other quirky things. All content in this blog are copyrighted to Kassandra Yboa, unless otherwise stated. Thank you.